Not so long ago, Elizabeth Holmes was Silicon Valley’s rising star. Like so many of the most successful entrepreneurs before her, she dropped out of college to start a company. But unlike many others, her startup would go on to be valued at almost $10 billion making her the world’s youngest self-made female billionaire. The company was called Theranos, a combination of the words “therapy” and “diagnosis.” It was praised for being revolutionary and for creating a breakthrough that would change the medical industry forever. Her board of directors was a who’s who of government heavyweights that at a time included former Secretaries of State George Shultz and Henry Kissinger, former Secretaries of Defense Gen. James Mattis and William Perry and former U.S. Senators Bill Frist and Sam Nunn. Investments came from some of the wealthiest and most connected people in the world, like media mogul Rupert Murdoch, the Walton family, the DeVos family and even the Kraft family behind the New England Patriots. But it all came crashing down. Today, Holmes is facing up to 20 years in prison and awaiting a criminal trial for charges of wire fraud and conspiracy to commit wire fraud, to which she has pleaded not guilty. 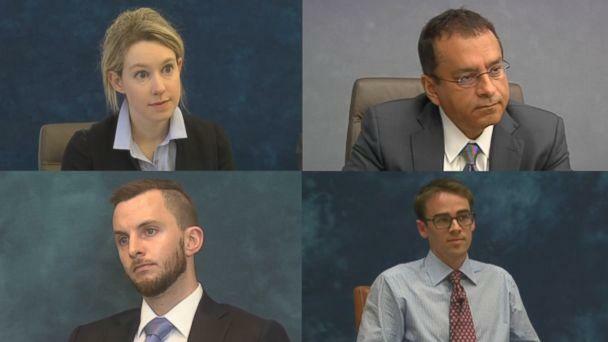 In an explosive three-year investigation from “The Dropout” podcast, ABC News’ chief business, technology and economics correspondent, Rebecca Jarvis uncovers new details behind the rise and fall of Holmes and Theranos, including never-before-aired deposition tapes of Holmes, her partner Ramesh “Sunny” Balwani, her brother Christian, whistleblower Tyler Shultz and others. “I think it's probably the most interesting fraud case I’ve dealt with, Bernie Madoff would be second… I think they are very similar people; smart, charming bullies,” Reed Kathrein, a partner at Hagens Berman who sued Theranos and Holmes on behalf of investors, told Jarvis on “The Dropout” podcast. So how did Elizabeth Holmes, a college dropout with no professional health care or science experience, convince so many people that her idea was going to change the world? Her precocious confidence started at a young age. Holmes was born in Washington, D.C. in 1984. Her mother, Noel, used to be a policy aide on Capitol Hill. Her father Christian Holmes IV, worked at a number of government agencies, and even briefly for Enron, the once-celebrated energy giant that came crashing down in one of the greatest frauds of American history. Joseph Fuisz, a former family friend and neighbor, met Elizabeth Holmes when she was about 9 years old. His stepmother Lorraine and Holmes’s mother were once best friends. “This was, I think, was a family that took nice things really seriously,” Fuisz told Jarvis on “The Dropout” podcast. “Her dad could be a charming guy, you know, in a kind of WASPy way. [He] was well-mannered. But the father would speak quite often about their lineage. They really took that mantle of this family history very, very seriously indeed.” Fuisz said. Christian Holmes IV descended from Charles Louis Fleischmann, who founded the incredibly successful Fleischmann Yeast company. It was something that Fuisz remembers the Holmes family being very proud of. 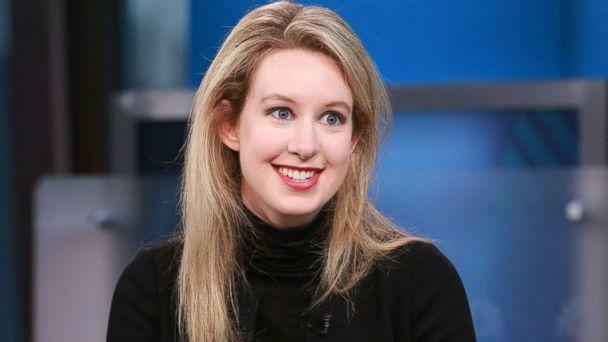 The families would come to have a major falling out years later, leading Elizabeth Holmes to sue Fuisz’s father, Richard Fuisz, and his sons over a patent dispute, which Theranos later won. “I think the parents very much yearned for the days of yore when the family was one of the richest in America. And I think Elizabeth channeled that and at a young age. There’s an anecdote where she’s 9 or 10 years old and she’s asked by a relative, 'What do you want to do when you grow up? And she answers immediately I want to be a billionaire. And the relative says don’t you want to be president? And she says no, the president will marry me because I’ll have a billion dollars,” Carreyrou told Jarvis on “The Dropout”. That ambition surfaced in her education. Holmes attended the prestigious St. John’s School in Houston, Texas, where she excelled as a top student who ran track and studied Mandarin on the weekends. Her honors physics teacher, Erol Turk, remembers her being a silent leader who carried herself with poise. “I remember just the way that she carried herself. Almost like a dancer carries herself onstage with this kind of ‘can-do attitude, chin-up.’ So she was always very composed. And, you know, even when she had questions, even when things were confusing, she just still had this kind of presence about her that stuck out in my mind,” Turk said on “The Dropout” podcast. He added that she was “the kind of student that I could hand my car keys to, and I know it'd come back safe, and with a tank full of gas.” He said it wasn’t a compliment that he gave to many of his students. After high school, Holmes' academic excellence and drive led her to Stanford University in the heart of Silicon Valley. It’s a place that has produced some of the most successful entrepreneurs in the world, with alumni including Google founders Larry Page and Sergey Brin, LinkedIn founder Reid Hoffman and PayPal founder Peter Thiel. 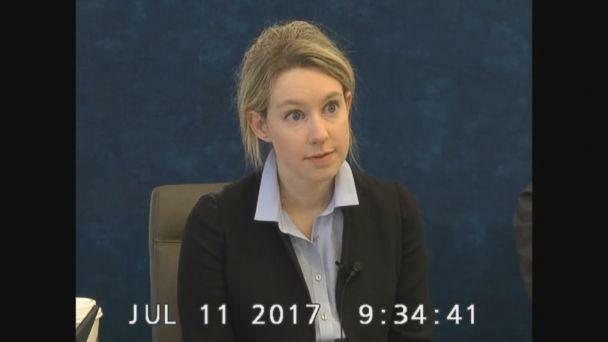 Dr. Phyllis Gardner, a professor of medicine at Stanford, recalled meeting Elizabeth Holmes during her freshman year of college, when an ambitious Holmes came to her with an idea. “The idea was simply that she was going to make a microfluidic patch to sample blood, to test for infectious organisms, and then deliver antibiotics through the same microfluidic channels.” Gardner said on “The Dropout” podcast. Holmes wanted to invent a skin patch that could test for diseases and deliver medication. Gardner, an award-winning tenured professor, remembered telling Holmes that the idea she was proposing simply could not work. She said Holmes was unfazed. “[She] just kind of blinked her eyes and nodded, and left. It was just a 19-year-old talking who'd taken one course in microfluidics, and she thought she was gonna make something of it,” Gardner said. Despite reservations from Gardner, Holmes spent five days during a school vacation writing a patent for her idea. She eventually found her mentor in Stanford engineering professor Channing Robertson. Elizabeth Holmes had taken Robertson’s class that freshman year. “I first met her when she came to my office at Stanford in, I believe it was the fall of 2002. ... She inquired as to whether or not she could work in my lab.” Robertson said in a deposition obtained by ABC News and featured in “The Dropout." Robertson was impressed with Elizabeth Holmes and her vision. He became an integral part of her early success introducing her to venture capitalists and joining her board of directors. “I was very intrigued by her vision and felt it could be a really interesting proposition to be engaged with. ... She asked me if I wanted to be on her board and I said yes,” Robertson said in his deposition. In her second year of college, Holmes officially dropped out of Stanford to pursue her company full time, and with the help of Robertson, she began raising money. While many of the traditional healthcare science venture capitalists passed, a family friend and venture capitalist, Tim Draper gave Holmes her first million dollar check. By this time, her idea had changed. She now wanted to create a portable device that could run any blood test with just a drop or two of blood from the finger. Holmes was beginning to manifest her childhood ambition, now as the founder and CEO of Theranos. She wanted to be nothing short of revolutionary and, according to those around her at the time, she envisioned herself as the next Steve Jobs. She wanted Theranos to have the same design-first aesthetic as Apple, and so, when it came time to hire, she turned to the tech giant to find potential employees. “Elizabeth was very obsessed with Apple. A lot of the folks that she hired in during my period were ex-Apple,” former Theranos employee Ana Arriola said on “The Dropout” podcast. Arriola is a former Apple product designer who helped to create the look of the iPhone and she was one of Holmes’s first recruits. “When I was asked to meet this particular person who was leading this stealth startup, I didn't know what it was at that time, and it was a bit of a clandestine meeting. And it turned out to be Elizabeth Holmes. We had a great conversation,” Arriola said. “She's incredibly passionate. She's very energetic, very expressive with their hands and has a very unique, distinctive voice that you kind of just get drawn into what she is conveying and her conviction it really, really shines through,” Arriola said. Arriola joined Theranos in 2007 as its chief design architect. She said it felt like a once-in-a-lifetime opportunity and left 15,000 shares of Apple behind. As the chief design architect, Arriola said she was responsible for the look and feel of Theranos’ breakthrough technology, which would come to be called a number of different names such as TSPU, the miniLab and the Edison. The Edison device looked like a black, rectangular box about the size of a desktop printer with a screen on the front and was meant to process Theranos’ tiny blood test samples. Holmes wanted the screen to resemble the iPhone screen and for the casing to look like the original Mac. But Arriola just didn’t just help to design the technology, Holmes also confided in her when it came to fashion. It wasn’t long before she started to become curious about Steve Jobs' attire. “I explained to her that he was inspired by Sony's heritage of having Issey Miyake come in and create a lot of the line manager apparel and that eventually led Steve to get the Issey Miyake black turtleneck that is historically known. And so I pointed out to her that I think she went off and tracked down who Issey Miyake was and the rest is couture history... she did change her aesthetic and I think it was for the best,” Arriola said. Soon, Holmes was wearing black turtlenecks just like Steve Jobs. Some people, like Gardner, say that even her voice had changed dramatically, into a low, serious baritone. 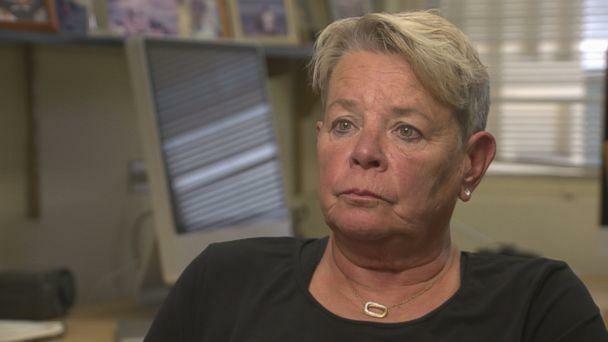 “When she came to me she didn’t have a low voice...when I next saw her again, she says with this low voice and I’m like, ‘Oh my god.’ It was quite off,” Gardner said. Arriola, who would often arrive to work early and cross paths with Holmes, said she also started to notice other behavior that surprised her. Arriola wasn’t the only former Apple employee that Elizabeth hired. She poached several of her other former colleagues, including Justin Maxwell, who joined Arriola’s team helping to design the Edison, and engineer Adam Vollmer, and Mike Bauerly whose wife had worked with Ana at Apple. Maxwell remembered being excited about joining Theranos. Vollmer said that he, Maxwell and Arriola really believed in Elizabeth Holmes: “We wanted to see her become that billion-dollar leader, literally everybody wants to work for the next Steve Jobs,” he said. But Maxwell said that it wasn’t long before they realized that they were designing a technology that didn’t really exist. Maxwell recalled learning from other employees that the technology wasn’t working and “the science” wasn’t “matching up.” It became clear that without technology, the designers became unnecessary. “We actually can't provide value to this company right now if the foundation isn't working,” Maxwell remembered thinking. On top of that, they said Holmes arranged the company so that everyone was purposely siloed. Employees weren’t supposed to communicate with each other about their tasks, they also were advised not to reveal the company name on social media sites like LinkedIn. The immense secrecy was apparently to protect what Holmes felt were trade secrets. But despite this inner company chaos, Elizabeth Holmes dazzled potential investors and board members. It wasn't long before she recruited Avie Tevanian, once Steve Jobs’ right hand at Apple. Tevanian had led the software team that developed Mac OS X.
Tevanian joined the Theranos board of directors in 2006, but quickly became frustrated with what he was seeing. “I think what she didn't expect was that I would actually ask a lot of questions and that if things weren't going as they should be going that I would ask tough questions,” Tevanian said in an exclusive interview on “The Dropout” podcast. And while Holmes’ strength lied in recruiting impressive talent, retaining those employees was a different story. Former employees have described the company as having a revolving-door culture when it came to hiring and firing. “Elizabeth did do a great job of recruiting amazing people. I would watch those people that I trusted disappear. Our office was right next to the general counsel and the head of business development, both of whom were people I had tremendous admiration for. They were extremely sharp and knew the industry very well and they just vanished,” Maxwell said. “I think like two weeks after I started, the CFO was just promptly fired or just disappeared and that was disconcerting,” Vollmer added. It was something that Arriola noticed as well. Just as Holmes had convinced the Apple recruits to come aboard to design a product for technology that didn’t yet exist, she was trying to sell a product to big pharmaceutical companies that weren’t ready. There was one incident that was particularly troubling to Arriola. Holmes had made a deal with a major drug company to let Theranos test its technology on terminal cancer patients in a study taking place in Tennessee. “Our going into the study felt utterly premature relative to where we were at... we weren't generating reliable reproducible data,” he added. These employees didn’t know the test results wouldn’t impact the actual treatments given to these cancer patients. Holmes kept that detail from most Theranos employees. They hated making such vulnerable people guinea pigs. Vollmer says that raising concerns internally wasn’t tolerated. Arriola decided she would confront Holmes about these issues. “She basically conveyed to me that I should not intervene that this is an incredibly critical juncture in the company's current fundraising. And I was like, that's unacceptable from an ethical perspective. I just can't stomach it... She gave me an ultimatum, suppress it and continue on business as usual or I said I was resigning. And I decided to resign,” Arriola said. Arriola said that she slid her resignation letter underneath the office door of the head of human resources and left. She remembers Holmes “frantically” calling her. She let the calls go to voicemail, but she didn’t want to answer. “I just literally had nothing I wanted to do with that company anymore,” Arriola said. Not long after Arriola left, Maxwell, Vollmer and Bauerly followed suit. Tevanian ran into the same problems with trust. He said promises that Holmes was making weren’t being fulfilled and information wasn’t adding up. Tevanian also said that the technology wasn’t improving. When Tevanian would raise questions, he said, they were brushed off. He also Holmes started ignoring him and eventually had another board member, venture capitalist Donald Lucas Sr., confront him. He said that Lucas only cared about supporting Elizabeth Holmes, not fixing the problems that were obvious to Tevanian. “Don [Lucas] honestly believed that she was the next Steve Jobs,” Tevanian said. Tevanian resigned from the board shortly after that meeting.